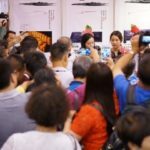 HONG KONG, 4 September, 2017 – Seafood buyers looking for innovative fish and shellfish products to satisfy their customer’s demands will have more choice than ever when Seafood Expo Asia, organized by Diversified Communications, opens at the Hong Kong Convention and Exhibition Centre this week from 5-7 September, 2017. Thousands of international visitors which include retailers, importers, caterers, wholesalers, distributors, restauranteurs, hoteliers and chefs, will be able to source the most popular live, fresh, chilled, frozen and value-added seafood products from Asia and around the world. This year’s exposition will feature over 230 exhibiting companies from 31 countries, with new participating countries including Djibouti, Dutch Caribbean, Falkland Islands, Morocco, Iceland, Mexico, Denmark and the Maldives. The event also welcomes 21 regional and national pavilions with exhibits from Spain, France, South Korea, China and the Maldives, each showcasing their own unique, local premium produce to the seafood community. 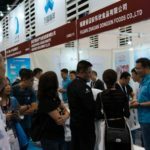 Frequently a popular attraction and often cited as one of the ‘must attend’ areas on the exhibition floor, Seafood Expo Asia’s Product Showcase has been given a fresh look for 2017. Offering enhanced sourcing opportunities, the newly-designed Product Showcase will present exhibitor products in an open and engaging market-style setting. Industry buyers looking to expand and refresh their lines of seafood offerings will be inspired by new-to-market products, best sellers and the hottest trends from quality international suppliers, all in one convenient location. 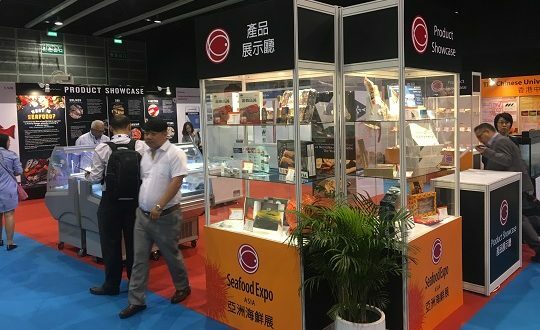 “In a post-event survey following our 2016 edition, 71% of visitors expressed that they had successfully identified new products and suppliers at Seafood Expo Asia,” concludes Ms. Kwan, while noting that for 2017 the exposition will bring international buyers even more opportunities to find all the seafood products they need to satisfy their customers’ growing appetites. 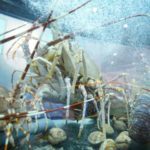 Seafood Expo Asia is a trade event where buyers and suppliers of seafood from around the world come together to network and conduct business in the lucrative Hong Kong and Asia Pacific markets. The event’s eighth edition takes place from the 5-7 September 2017 at the Hong Kong Convention and Exhibition Centre in Wanchai, Hong Kong. SeafoodSource.com is the exposition’s official media covering industry news year-round. The exposition is produced by Diversified Communications and is co-located with Restaurant & Bar Hong Kong. http://www.seafoodexpo.com/asia. Diversified Communications is a leading international media company providing market access, education and information through global, national and regional face-to-face events, digital products and publications. Diversified serves a number of industries including: seafood, food service, natural and organic, healthcare, commercial marine, technology and business management. 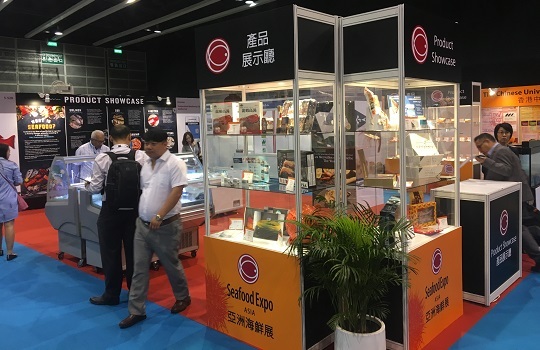 The company’s global seafood portfolio of expositions and media includes Seafood Expo North America/Seafood Processing North America, Seafood Expo Global/Seafood Processing Global, Seafood Expo Asia and SeafoodSource.com. Diversified Communications, in partnership with SeaWeb, also produces SeaWeb Seafood Summit, the world’s premier seafood conference on sustainability. Based in Portland, Maine, USA, Diversified has divisions in the Eastern United States, Australia, Canada, Hong Kong, Singapore and the United Kingdom. For more information, visit: www.divcom.com. For media interviews or to request a copy of the photographs that accompany this announcement, please contact Janet Middlemiss on (852) 9195 7829 or at janet@jemworldwide.com.